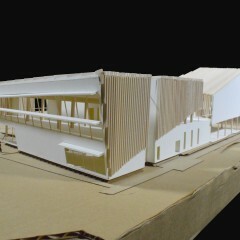 The main project for the second semester was a medium sized public library located in Bibb City, Georgia. 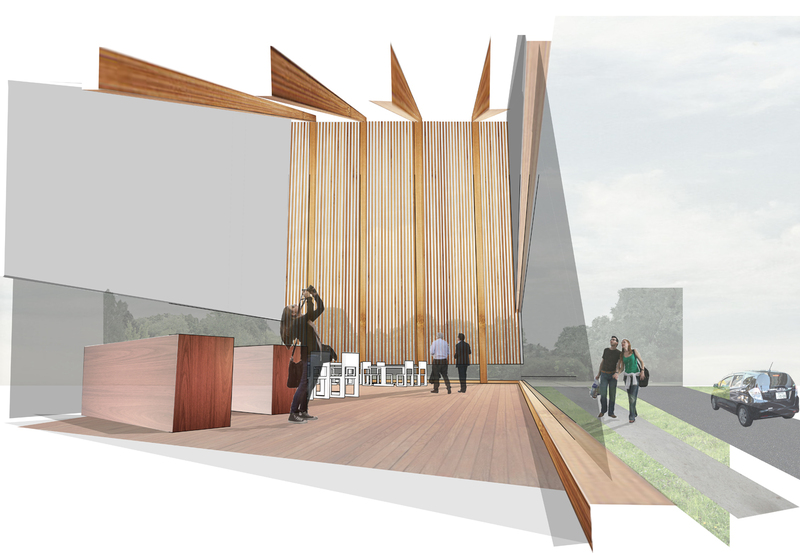 This project was a judged competition among the studio sponsored by the Alabama Forestry Association. 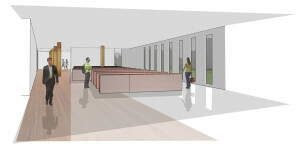 The program of the library included public stacks, reading rooms, and a small meeting space with support spaces. The chosen site for the library is in the middle of a former mill neighborhood that is in the process of being redeveloped. 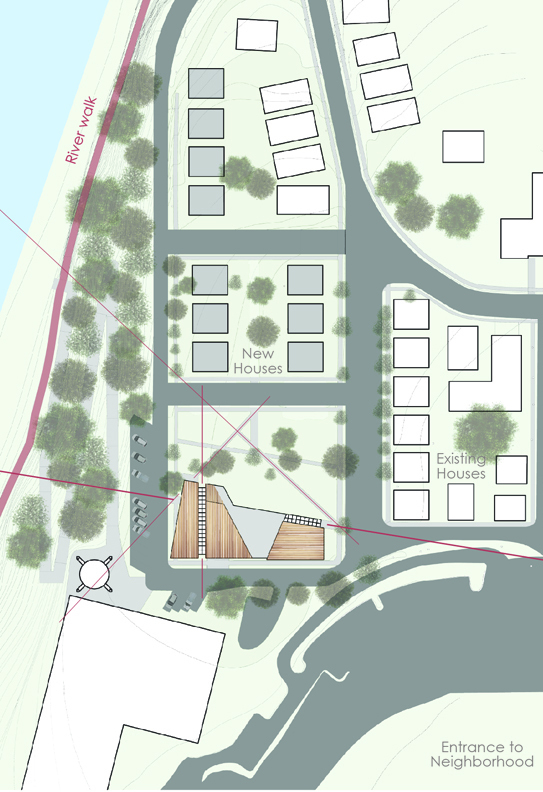 The project included proposing a redevelopment of the surrounding area by planning new houses and public outdoor space. 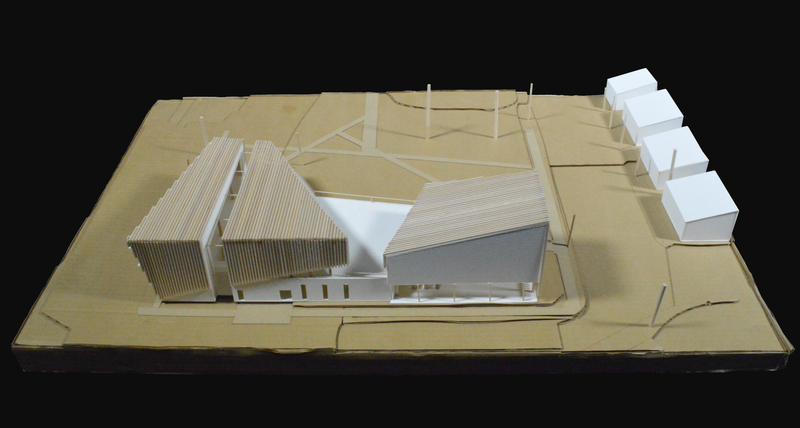 The library was positioned at the south edge of the neighborhood so it could be most visible from the areas outside the neighborhood. 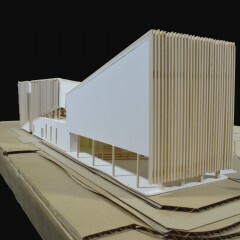 My design for this library began with an exploration of the forms and materials of the neighborhood around the library. 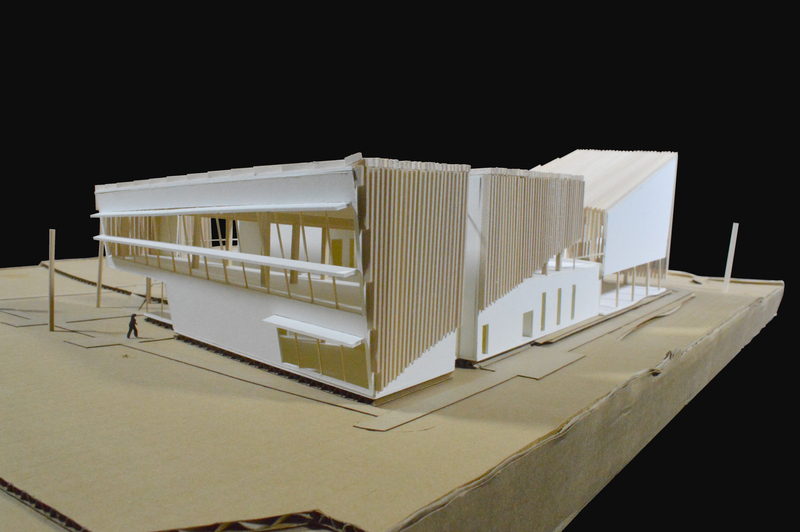 An early design proposal closely followed the language of a series of gabled roof houses, creating a library of unreasonable size and program. 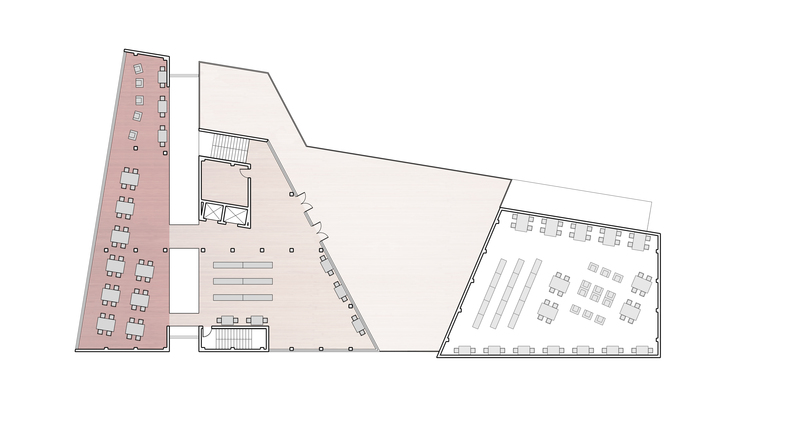 The idea was simplified by abstracting the gabled forms and rearranging them into one solid monumental mass. 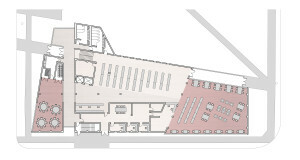 The exterior form allowed for the program of the library to be divided into two multi story reading room masses connected by a single story section of stacks and service. 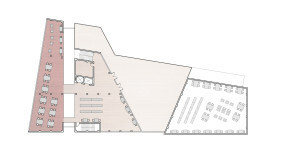 The main entrance is located on the west side, adjacent to the meeting space, which can be closed off from the rest of the library. 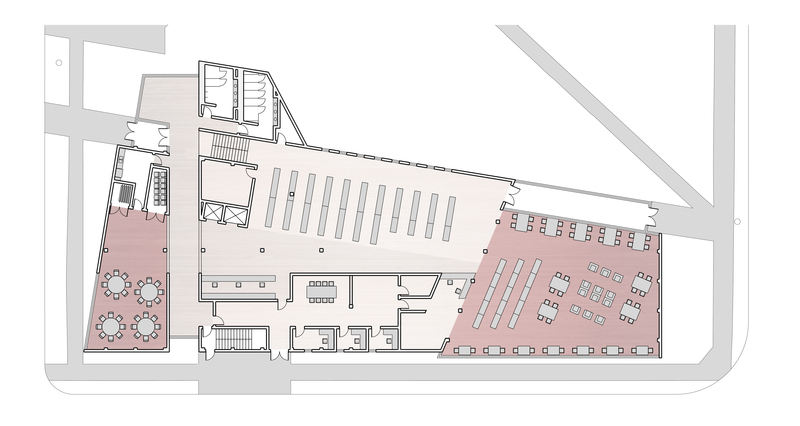 The large main reading room on the east side has an extra high vaulted ceiling. The exterior of the library is clad in weathered metal panels with a wood “wrapper” system to emphasize the reading room masses. 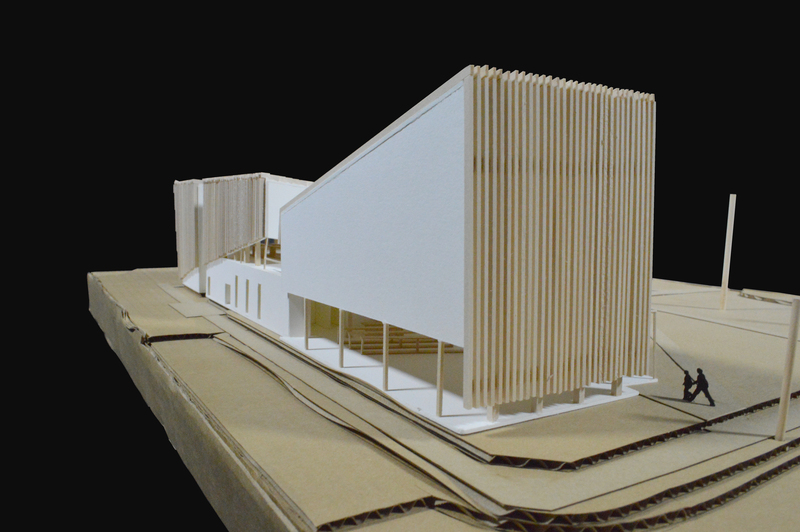 These wood sections are formed of wood slats turned upward running in the dominant direction of the mass. 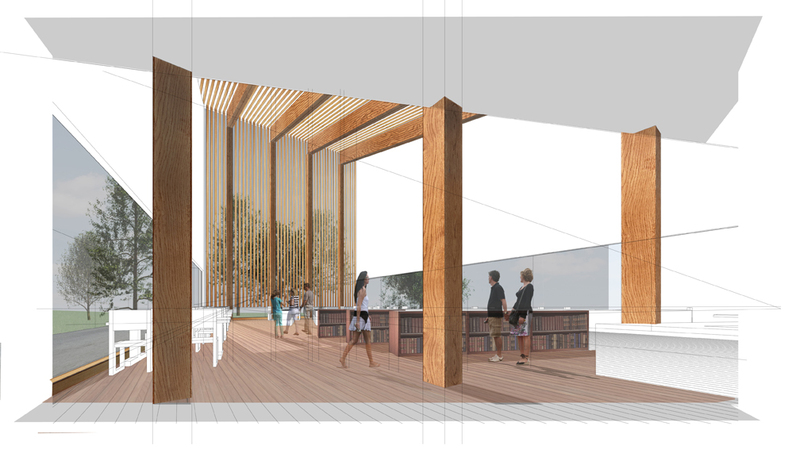 On the east mass, these wood systems also act as large window walls on the east and west face of the reading room. 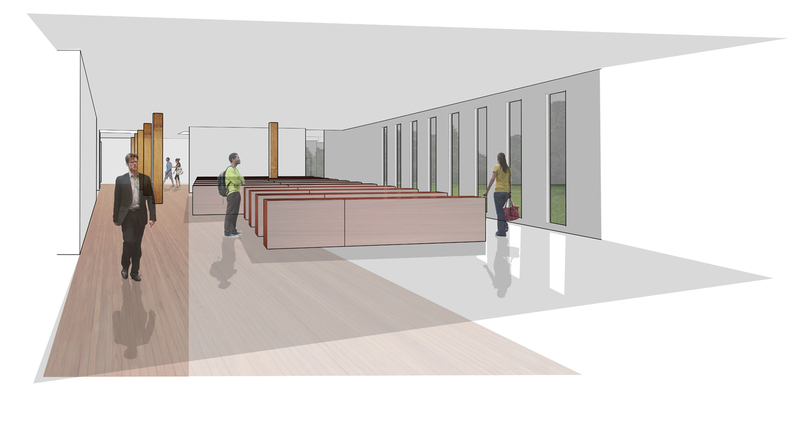 Strips of glass fill in between the wooden slats forming a solid enclosure that still lets in a large amount of indirect light into the reading room.